The view to the south from Taylor Hill. 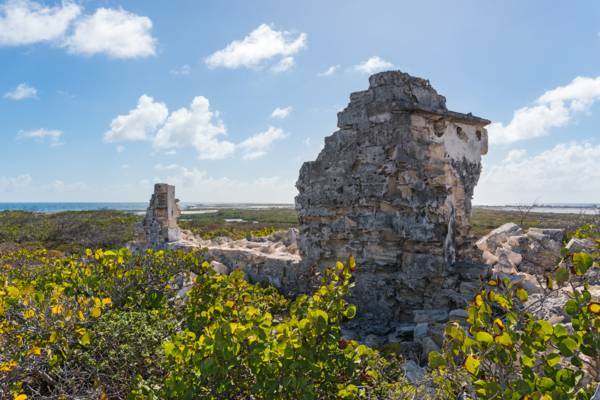 The ruined house at Taylor Hill, Salt Cay. Found on the central east coast of Salt Cay, Taylor Hill offers scenic views over much of the island and the nearby open ocean. 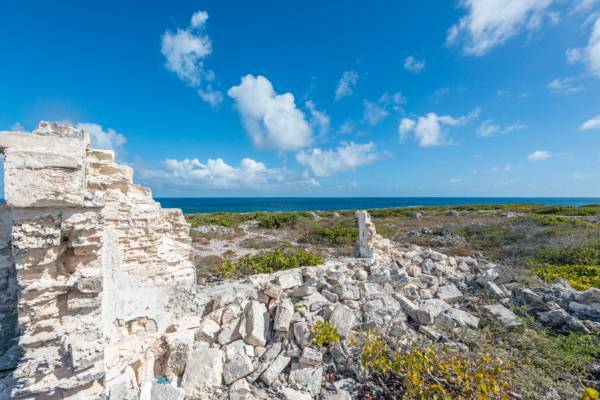 At the height of Taylor Hill, limestone ruins and field walls from an old whaling station can still be seen. The flotsam-covered Long Bay is located close below the Taylor Hill to the east. Stone cairns can also be seen in the area. These mounds were simply accumulated from loose rocks in the around the grounds of the main house. Unpaved tracks (which can be rather rough in places) lead to the Taylor Hill from both the Balfour Town and the South District regions. See our Salt Cay Map for more information. The last walls standing of Taylor Hill.